Our team has worked hard to design a self-driven, state of the art optimization engine for you to market your business online. Years have gone into developing an engine to save you money and time, so you can focus on what matters most: Your business. However, it only takes you a few minutes a day to ensure your SiteWit marketing campaign(s) shine. 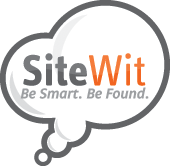 Here is a simply short checklist to help you master SiteWit and online marketing. Review this checklist before you purchase, or shortly after, and you can harness the power of SiteWit. 3. Review Your Stats & Reports. How Does Our Lead Generation Tool Work? How much does a pay-per-click campaign cost?